Mixed emotions are felt by soccer fans across the nation as a result of the games that took place on Tuesday, March 29. The United States Men’s National Soccer Team (USMNT) continues their quest for a World Cup title as they celebrated a 4-0 win against Guatemala in the second leg of qualification. However, on that same day the U23 Men’s National Team’s (MNT) dreams were crushed as they suffered a 1-2 loss against Colombia, resulting in elimination from Olympic qualification. Tuesday’s games show that, in just a blink of an eye, dreams can either become a reality or come to an end. 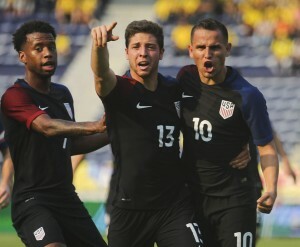 On Friday, March 25, the MNT U23’s managed to secure a road point when they faced Colombia in Barranquilla, Colombia, in the first leg of Rio Olympic qualifying. Luis Gil put the US in the lead in the fifth minute and Colombia didn’t answer back until the 68 minute when the USA’s Kellyn Acosta tripped Colombia’s Santos Borre in the box to give Colombia a penalty kick. Juan Fernando Quintero stepped up and put the penalty kick into the back of the net to tie the score. The very hot and humid game ended in a 1-1 draw with both teams looking to secure a spot in the Rio Olympics on Tuesday, March 29. Both teams took the field at Toyota Stadium in Frisco, Texas, on March 29, knowing that their dreams depended on this game. Colombia took the lead in the first half after a goal by Roger Martinez and held that lead going into the half. The USA saw a glimpse of hope as Colombia’s Deiver Machado misdirected a lofted ball in by the USA’s Emerson Hyndman into the back of his own net, leaving the score 1-1. Unfortunately, this hope did not last long as just six minutes later Martinez struck again with a ball in the back of the net. The U.S. faced further troubles as Luis Gil was sent off in the 77 minute when he was issued a second yellow card. The news got worse as defender Matt Miazga was also sent off with a straight red after bringing down a Colombian player who had a breakaway on goal. 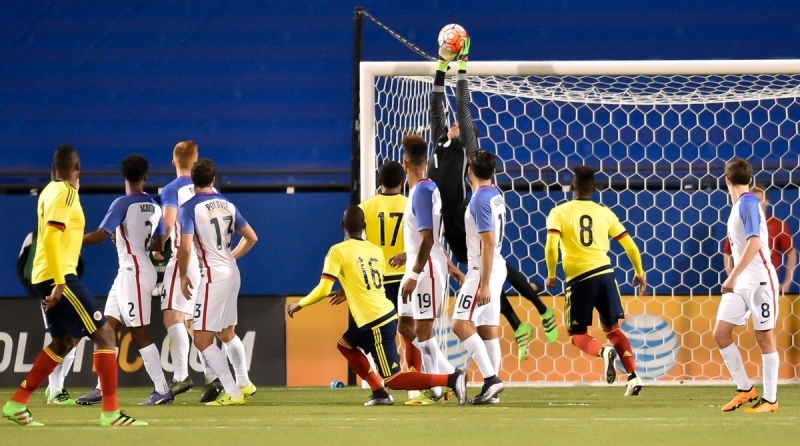 Despite the U.S. efforts, Colombia proved too strong to break down and the game ended 1-2 in Colombia’s favor. 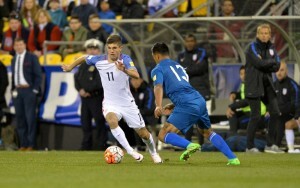 The U23 MNT saw its Olympic dreams vanish. I think it is safe to say the nation grieved for the U23 MNT after the tough loss. However, not all is lost as the hopes of competing for a World Cup title in Russia are still in play. ever loss to Guatemala in World Cup qualifying (7-1-5). Guatemala’s Rafael Morales shook his defender in the seventh minute to head a corner off of Mix Diskerud and past Tim Howard into the back of the net. Just ten minutes later, Carlos Ruiz found himself unmarked with a breakaway on goal and slotted it home. Guatemalan goalkeeper, Paulo Motta, made some spectacular saves to keep the U.S. off the boards and the game ended 2-0 in Guatemala’s favor. Guatemala wouldn’t be celebrating long. Four days after the unexpected loss, the USMNT showed the world what they are really made of as they took on Guatemala again in the second leg of qualifying in Columbus, Ohio. Just 12 minutes into the match Clint Dempsey opened the scoring after a long ball by defender Geoff Cameron deflected off of forward Gyasi Zardes for Dempsey to fire into the back of the net. Cameron added a second goal in the 35 minute after a free kick by Michael Bradley. Graham Zusi and Jozy Altidore contributed goals in the second half to end the game in a 4-0 United States win. Goalkeeper Brad Guzan also reported two saves to earn a clean sheet. With this win, the USMNT moves to second place in CONCACAF Semifinal Round World Cup Qualifying Group C and report seven points in four matches. 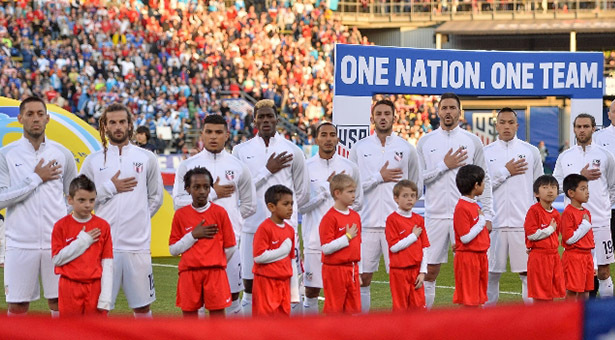 The USMNT will face St. Vincent and the Grenadines away on Sept. 2, to resume World Cup Qualifying. Although the reality of the U23 MNT being knocked out of the 2016 Rio Olympic qualification is a tough one to swallow, the chance for the USMNT to compete for a World Cup title is a dream come true.